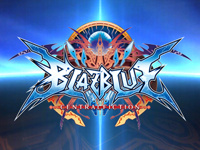 The first major update of BlazBlue CentralFiction is out today. This update starts a new chapter in the BlazBlue story named "Act 2 - Nightmare Memory". 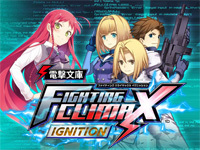 Available in arcade mode, this new story chapter ends Ragna's story and start the story of Nine the Phantom. Hades Izanami, the main antagonist of the BlazBlue series, becomes a playable character for the first time. Her goal is to reduce everything in the universe to nothing. There are also new game modes: a new solo mode named the Speed Star Mode: the player must defeat random enemies in a limited time and a new Score Attack mode. Now, you can customize your opponent when you play against the CPU. You can watch the Act 2 trailer here. Now is the time! Presale tickets for the next GamePlay convention are available now at YesGoLive! The fifth edition of this human scale convention will be held at Espace Magnum in Colfontaine (near Mons) on May 7-8 from 10am to 6pm. Originally announced on April 2-3, the organizers decided to postpone the event following the announcement of the holding of a spring edition of FACTS convention in Ghent at the same time. Although few details have been announced so far, the GamePlay convention is known for its relaxed atmosphere, its cosplays, its video games and its special activities rarely seen at this type of event (airsoft and paintball were featured last year). No guest name is known at this time but we already know that the arcade area will be larger than last year. 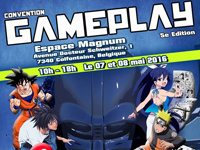 This is great because the Arcade Belgium stand was a bit overcrowded at the last edition. The selection of games is left at the discretion of the organizers so we do not even know what titles will be featured on our stand... But it will be nothing but good stuff, that's for sure! Ticket prices are as follow: Adult: €9.49 (one day)/€15.49 (weekend), Child: €4.49 (one day)/€6.49 (weekend), Cosplay: €7.49 (one day)/€12.49 (weekend). Tickets are available here. EAG International 2016 trade show is next week! This is Sega's turn to unveil the new products they will present on their stand: the main event will undoubtedly be Mario & Sonic at the Rio 2016 Olympic Games Arcade Edition. First seen at a location test in Tokyo last July, the game takes advantage of the popularity of the biggest sporting event of the year. This game features popular Nintendo and Sega characters including Sonic and Mario (obviously) but also Luigi, Peach, Wario, Tails and Knuckles. It will be possible to participate in nine different sport events including 100m, hammer throw, javelin throwing and archery. The cabinet is equipped with a 55" HD screen and the game is controlled via 2 joysticks with buttons on their ball and sensors. 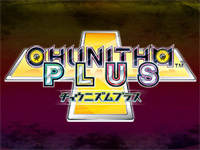 It is possible for four players to compete in these fun Olympics. Mario & Sonic at the Rio 2016 Olympic Games Arcade Edition will be released in February. Remember that 2016 marks the 25th anniversary of Sonic the Hedgehog and Sega takes the opportunity to propose several other Sonic games; Sonic Dash Extreme, a video game with a redemption otption where Sonic must catch rings and Sonic Blast Ball, an improved lucky hit game. The Sonic Sports series of machines (air hockey and basketball) have been rebranded with new visual and new Sonic themed sound. Sega Amusements distributes ticket redemption machines by American manufacturer ICE in Europe, you will find their latest games on Sega's stand such as Angry Bird Arcade where the player throw balls at a screen using a cannon, Pink Panther Jewel Heist which offers 100 levels where the player must steal a jewel and escape to the next floor while avoiding Inspector Clouseau. There will also be the Ghostbusters electromechanical video game for 2 players where you have to catch ghosts to win tickets. The game features 8 sequences of the popular movie that will delight nostalgic minds while a new feature film will be released this year. The motion version of Wahlap's Storm Racer G will also be showcased. The enormous Sega booth will of course host the Sega Total Solutions division which offers spare parts and tickets and Sega Prize Europe with new plush toys and new prizes for cranes. Discover all of this and more on stand 550! 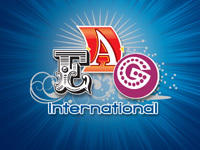 EAG International 2016 will be held at ExCeL London on January 12th, 13th and 14th. While Video System T-shirts are on their way to buyers, it is already possible to order the model of January 2016. This new T-shirt is of gray gravel colour and proudly displays the IREM logo on the front. 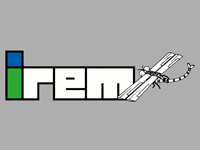 This is the version of the logo used in the '90s featuring a dragonfly. Founded in Hakusan, Japan in 1974 under the IPM Corp name (for International Playing Machine), this amusement machine rental company begins developing its own games in 1979, it then changes its name to IREM, an acronym of International Rental Electronics Machines. The meaning of the letters changes in the '80s to become Innovations in Recreational Electronic Media. 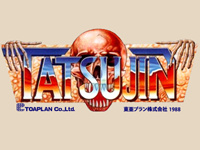 Their first productions were copies of existing arcade hits but the quality of IREM games improved over time and among the sixty arcade games that came out between 1979 and 1994, many titles will be fondly remembered by players like Moon Patrol, Kung-Fu Master (Spartan X in Japan), R-Type, Hammerin' Harry, Undercover Cops, In the Hunt and Gun Force II. We also owe them the arcade versions of Bomber Man, Spelunker and Lode Runner. As usual with 1cc Shirts, this T-shirt is available for a short period of time only. You have until January 24 to place your order! The price is the same as usual: $25 including shipping within the USA and $33 for the rest of the world. Reminder: you can buy the full soundtrack of Street Fighter II at Brave Wave Productions. Street Fighter II The Definitive Soundtrack is currently available for download ($21) and as a 3CDs edition ($25). It is indeed the ultimate version, as all music of Street Fighter II: The World Warrior, Super Street Fighter II and Super Street Fighter II Turbo are present. That means 115 tracks (tracklist). 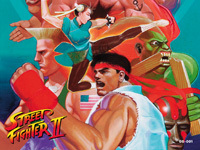 The musical themes of Street Fighter II were composed by Yoko Shimomura. 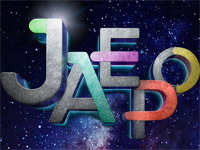 For the following episodes, these themes have been adapted for the CPS-2 hardware and new themes were created by Isao Abe and Syun Nishigaki. The music was recorded directly from the CPS-1 and CPS-2 arcade systems and improved afterward. The booklet included in the box contains artworks, an interview with Yoko Shimomura, a foreword by the executive producer of the Street Fighter series Yoshinori Ono and an essay by video game journalist Matt Leone (Polygon, 1UP). This soundtrack will be also released as an analog edition of 4 vinyls on March 31, 2016. You can pre-order it now at a price of $75! CD and vinyl editions include a download code for the digital version. Street Fighter II The Definitive Soundtrack is the first release of The Generation Series label, this label is intended to offer the definitive versions of the original soundtracks of legendary video games.